Whenever it comes time to buy a new car to get you from point A to point B, make sure you take into consideration the services that accompany the commitment. 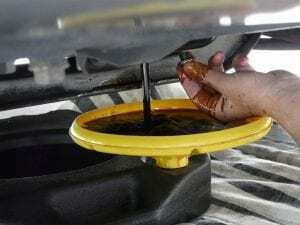 Aside from your frequent fill-ups on gas and washing your car, getting your oil changed is vital to the health of the vehicle. If you plan on keeping your mode of transportation for many years to help your travel the streets of Cooper City, then keep up with the maintenance from the beginning. With self-driving cars and electric plug-in stations all over the country, our vehicles are becoming more and more high-tech as the years move along. Although that may be unavoidable, one thing rings true, and that’s if you don’t care for your car, it won’t care for you. On average, every 3000 to 5000 miles is the sweet spot for when your car needs an oil change. Of course, there are a select few long-distance or strictly local drivers that skew this average, but for the most part, you’ll be safe to stay within this range. To avoid the mechanic having to go over the tedious checkups on your vehicle, perform a checkup at home. It’s easy, and it’ll save you a little extra time at the shop, so you can go in already knowing exactly what your car needs. After you’ve allowed the oil to cool off, take a peek under the hood to see what’s going on. Your oil engine will have a dipstick that you’ll need to take out, wipe off, and put back in. When you remove it again, if you can see the stick through the oil, then you’re good to go. However, if you can’t see it, you should schedule an oil change with Tropical Performance right away. With Cooper City stretching far and wide, your vehicle is put through the wringer over several years of daily use. For most residents that need not travel far for work or school, they’re lucky, but for those that do, your car may be begging for an oil change, and you didn’t even know it. Stop by our auto shop to get your vehicle looked at, and an auto oil change service in Cooper City that’ll give you a noticeable difference in the drive when you get back on the road.